Fast fashion is irksome because of the way it eliminates the artisans. In a world where machines are increasingly taking over, and convenience is the thumb rule, factors like sustainability, originality and cultural preservation is a miss. 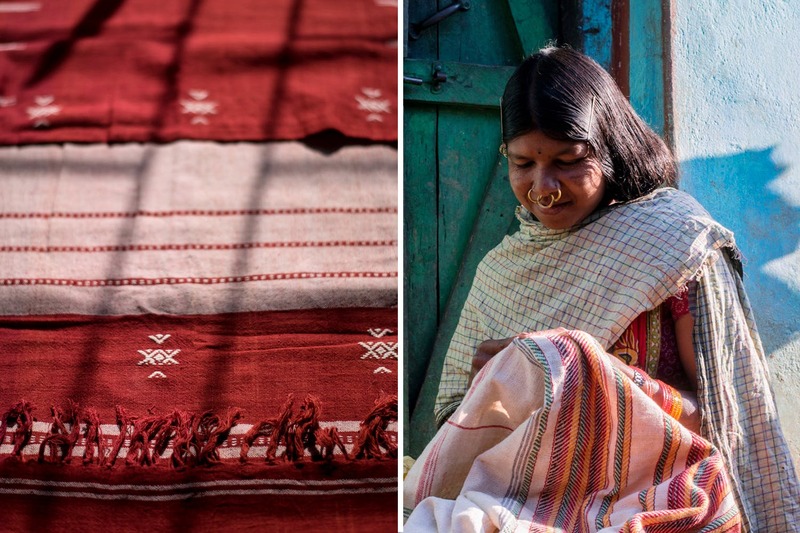 Tribe of Textiles (ToT), a combination of original hand-woven textile retailer and a medium to spread awareness about indigenous practices, is attempting to set this right by working directly with the artisans and maintaining fair trade practices. Started by Aditi Dash, ToT got initiated thanks to her own choice of wearing clothes stitched out of beautiful and ingenuine textiles. Standing tall and firm against mass production that’s both cruel to the environment and the workers, she chooses to invest in things that have more meaning, more value, and is a part of the rich heritage. And this is the thought she wishes to spread as far and wide as possible. ToT, currently in its nascent stage, brings original weaves from tribes of Odisha to the table. The Mirgan community makes the Kotpad weaves and the Dongria Kondhs. They also have Ikat, comparatively a more popular weave, much in vogue. These textiles are sold by the metre and once bought can be used to make whatever one chooses. Its comfortable and authentic feels make it quite an apt choice to create your own apparels. The Kotpad weave is available in a saree format (INR 11,040), and the fabric is available for INR 800-1,100 per metre. Ikat weave starts at INR 750 and goes up to INR 1200. Soon, they will be sourcing a lot of other north-eastern weaves as well. And while the website for now only retails fabric, they are likely to start ready to wear designs soon. Get on to their website and click on the ‘collection’ tab to peruse through all that’s available. Ditch the fast fashion, and hop on to the ToT bandwagon that makes you look stunning without compromising with the conscience.